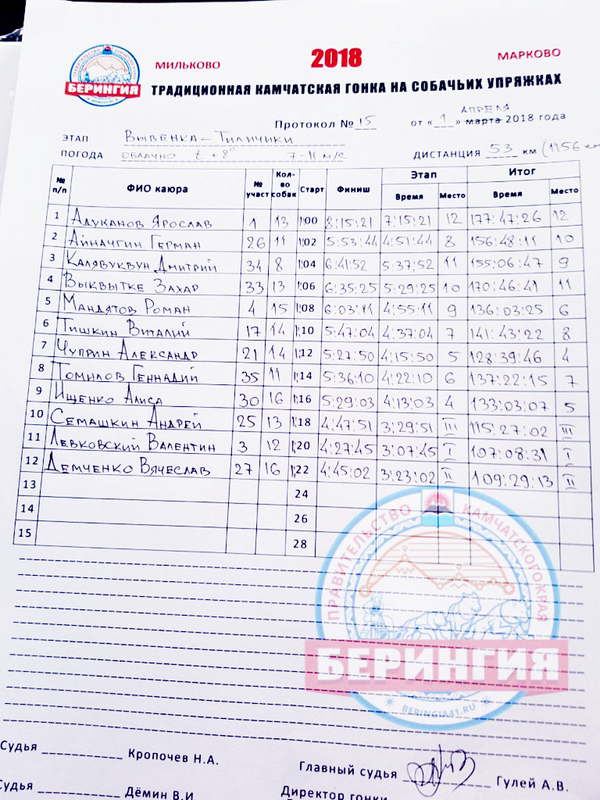 The participants of the Kamchatka traditional race “Beringia-2018” passed 1156 kilometers. On April 1, 12 kayurs finished at the checkpoint “Tilichiki”. 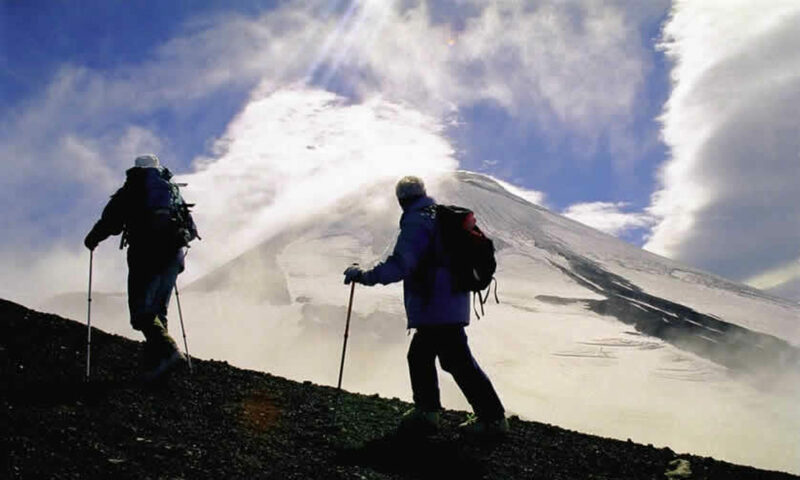 For the stage they passed 53 kilometers. The kayurs met them on the ice of the bay. There was organized a festive program, a concert and a field kitchen was set up. All participants in the race were treated to porridge, fried smelt and hot tea. The Beringians were placed in the school building. On Sunday, the first to come to the finish was Valentin Levkovsky, behind him, with a delay of 16 minutes, Vyacheslav Demchenko finished. The third one is Andrei Semashkin. This triple is unchanged almost from the day of launch. The fourth to the finish came Alisa Ishchenko, who now ranks fifth in the overall standings. She outstripped Alexander Chuprin, who came to the finish line fifth (in the overall standings he is in fourth place). Roman Mandyatov finished ninth (in the overall standings – in the sixth). Vitaly Tishkin finished seventh. 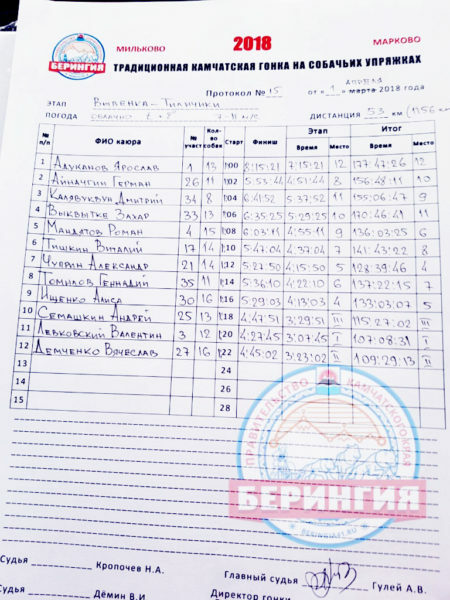 The team of Herman Ainachgin, a cousin from Khailino, apparently sensing the proximity of his native home, went to the finish line much faster – in the end, eighth place according to the results of the stage. In 12th place Yaroslav Adukanov, debutant of the race. 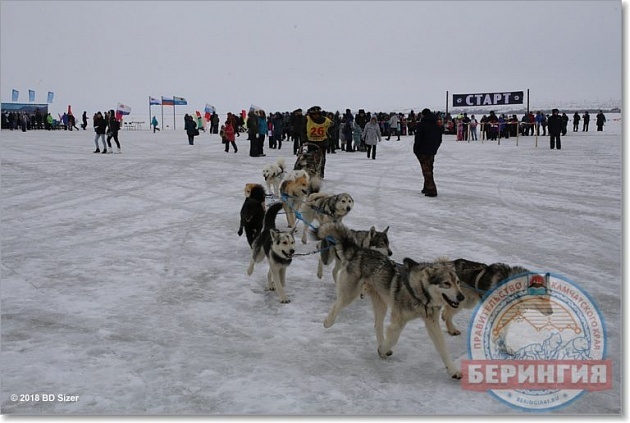 Chukchi sportsmen occupy 7th, 9th and 11th places.